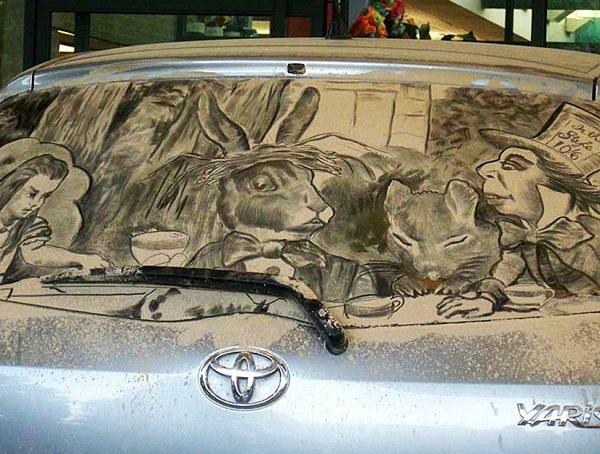 Mad Hatter’s Tea Party – from John Tenniel’s wonderful illustration. 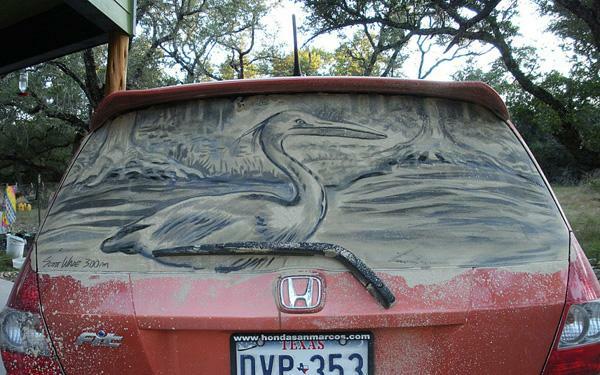 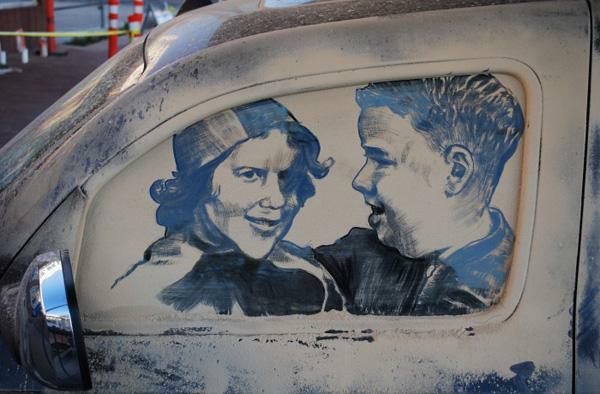 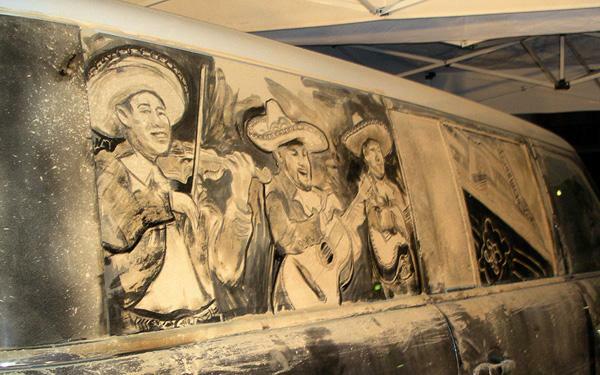 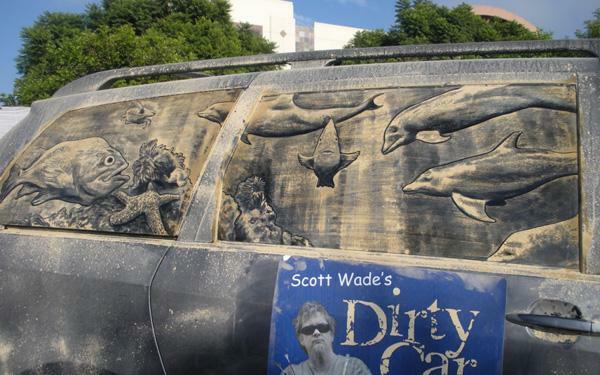 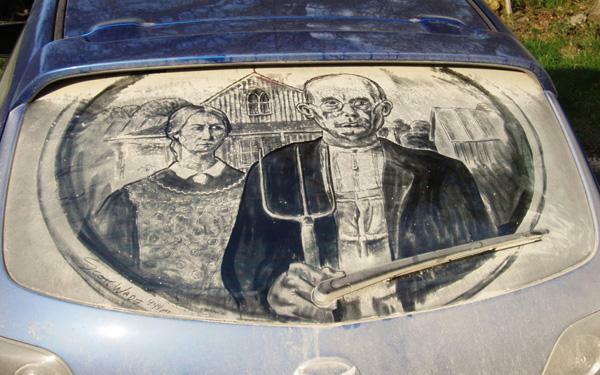 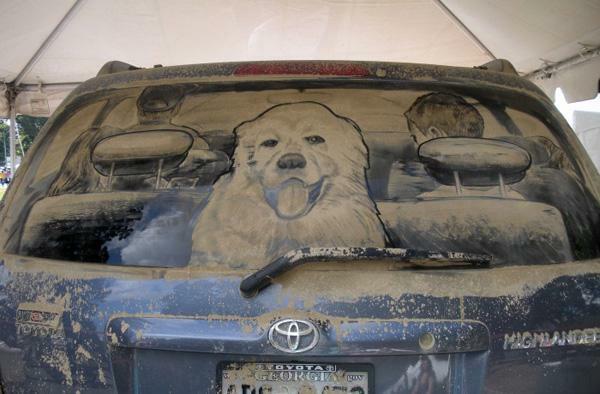 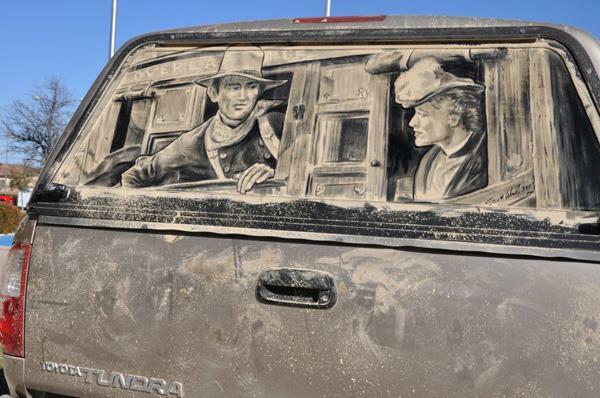 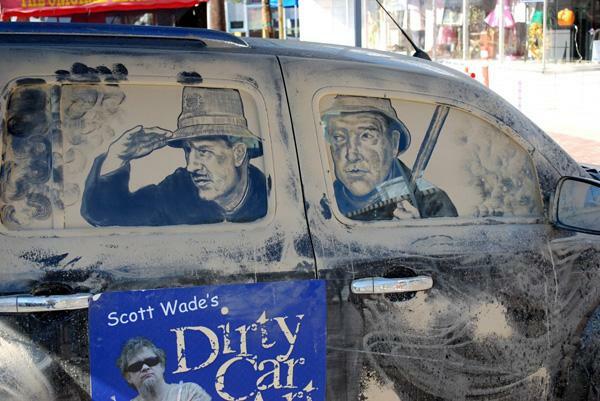 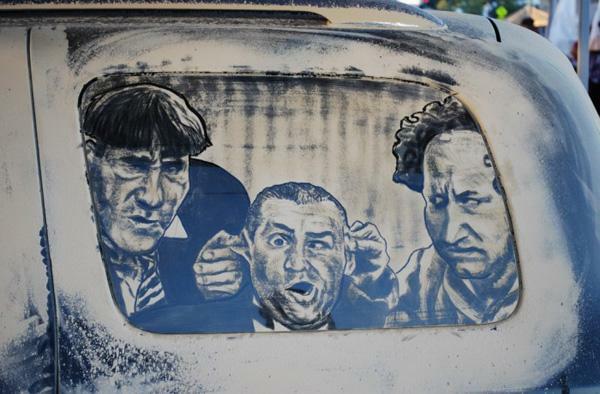 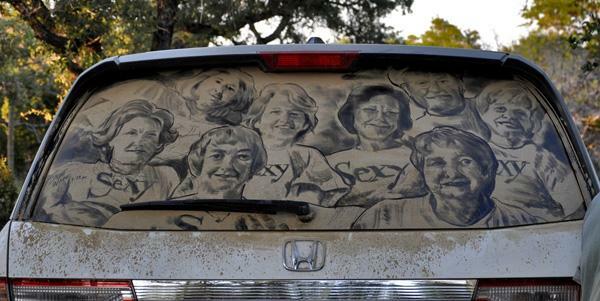 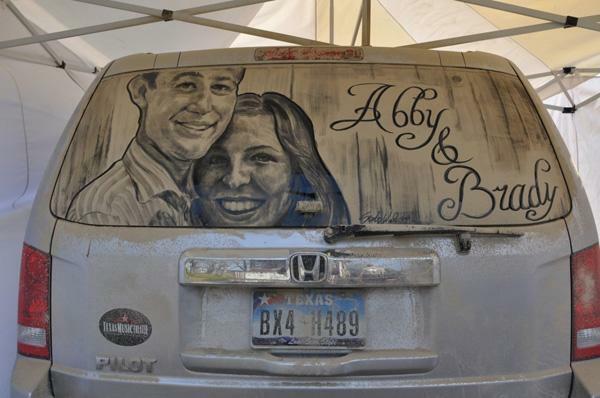 San Antonio, Texas based artist Scott Wade is always experimenting new ways to express his artistic views and known for his popular pieces of Dirty Car Art. 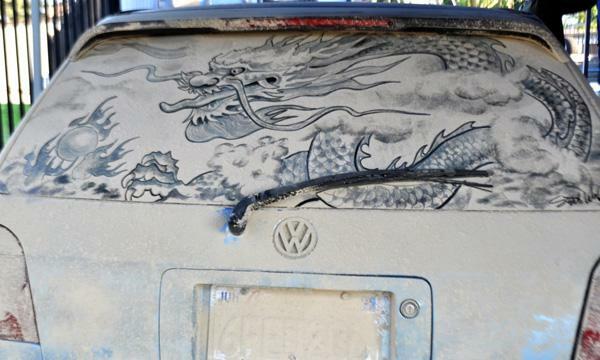 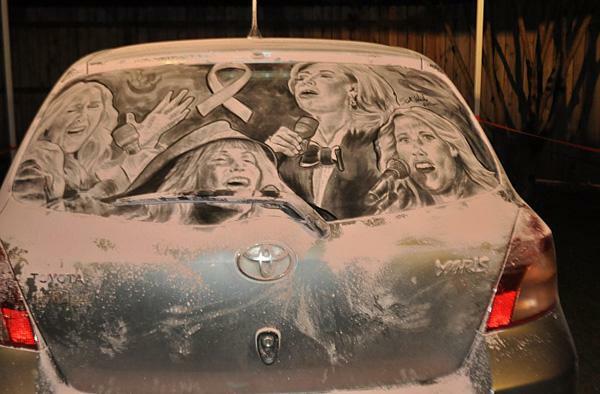 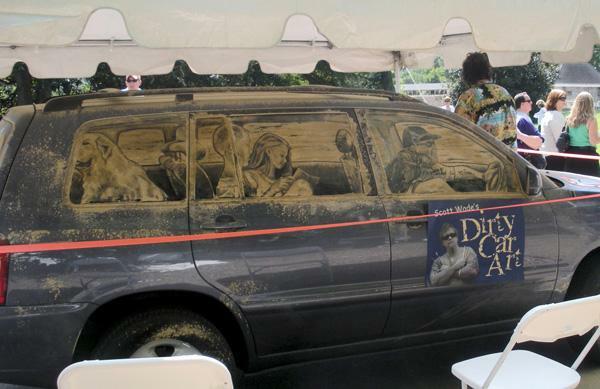 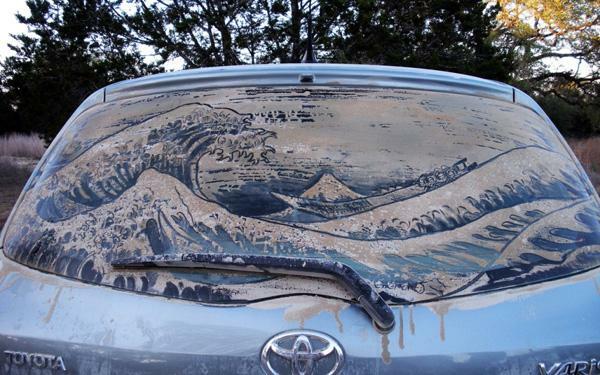 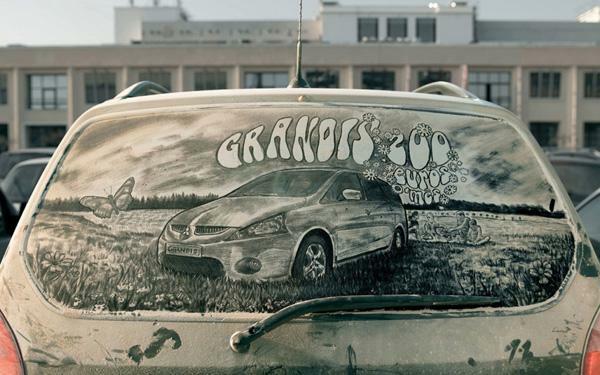 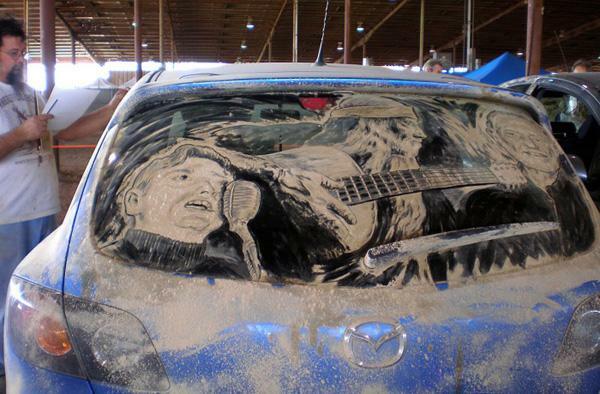 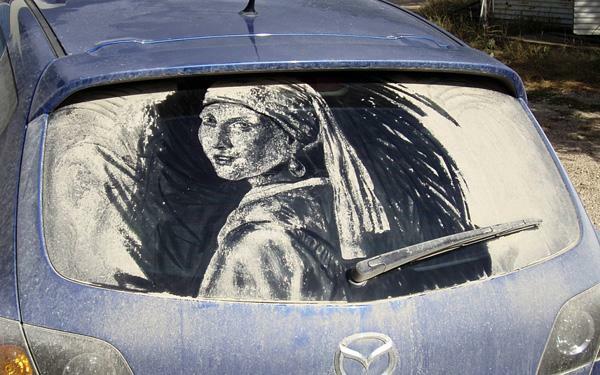 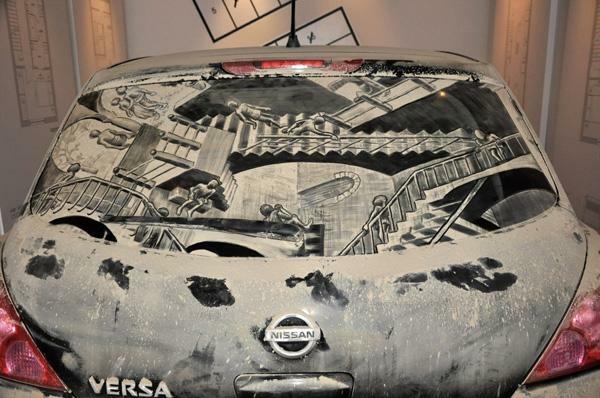 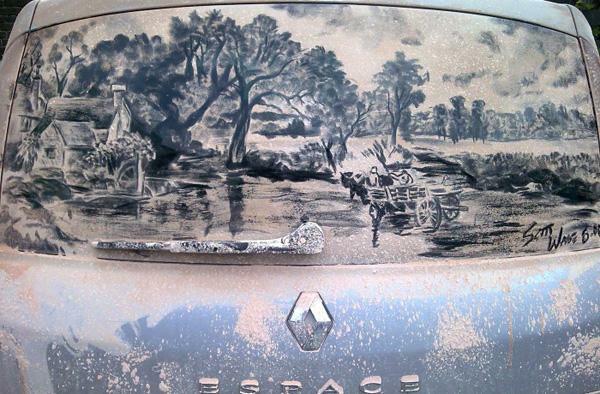 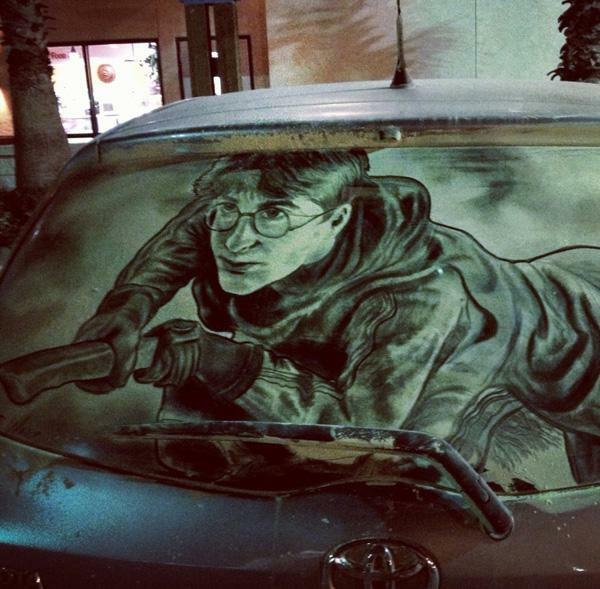 He created variety of artistic drawings on the canvas of car windows with his fingers using limestone and clay. 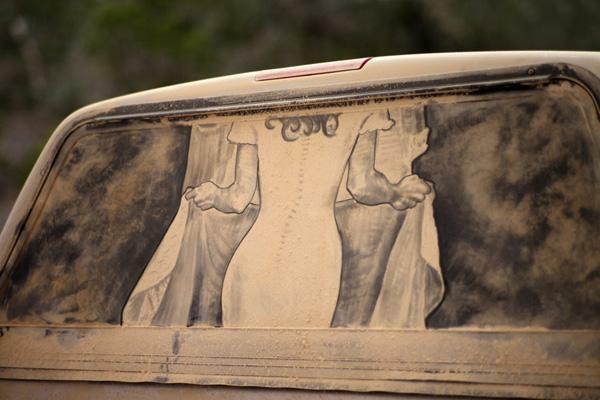 The original drawings will not last long but each piece was photographed and images are really stunning! 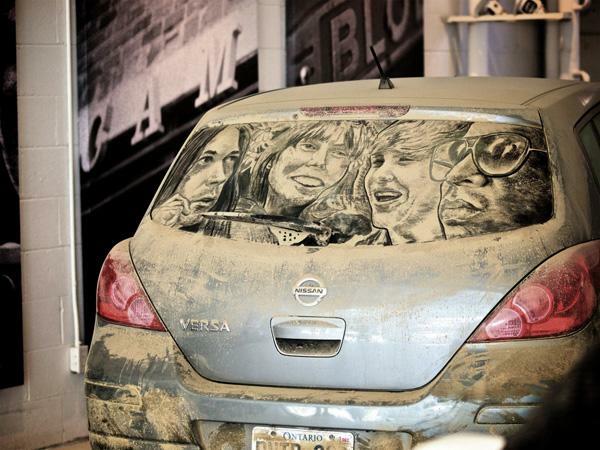 Let enjoy it.